Originating in the Pyrenees Mountains of France as early as 6000 BC, Pyrenean Shepherds have been herding and protecting flocks of sheep and goats for thousands of years. During World War I, this French herding breed was used as messengers, guards, and rescue dogs. After the war, the energetic Pyr Shep continued to herd and guard, and began to appear in competitions and shows. This cheerful breed comes in two varieties, the rough-faced type that boasts thick, coarse hair, and the smooth-faced which produces contrasting soft and finer hair. The Pyrenean Shepherd will thrive with an active family. 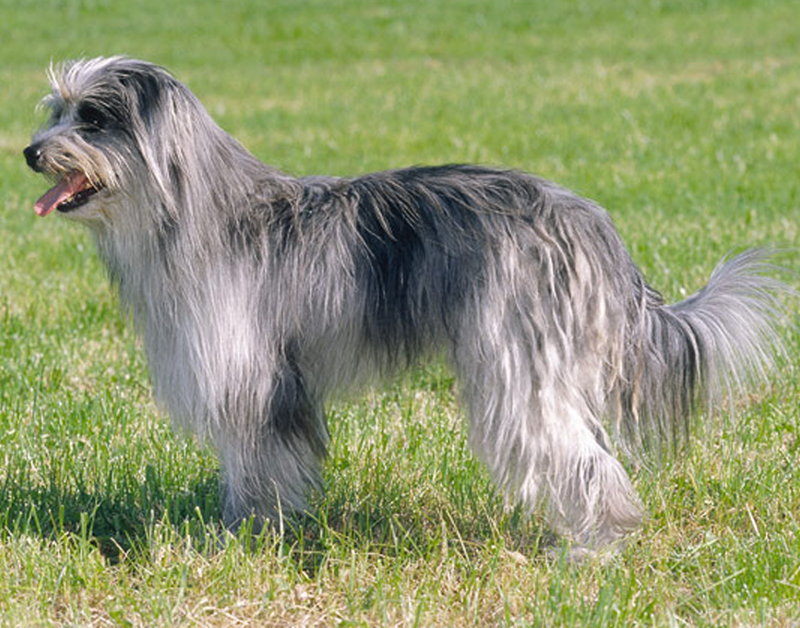 The Pyrenean Shepherd’s roots are deep, and those personality traits will be seen in every dog of the breed. This means a highly energetic dog who is enthusiastic, intelligent, and naturally protective. He has a cheery disposition, and is playful with his family, and often attaches himself to one special person to the exclusion of the rest. This is a dog who is involved in all of the day’s activities, and needs an active person or family who can match his energy. He can do well with children if he is raised with them, but often retains the herding behavior and will nip or chase them. The Pyr Shep can get along with other animals, but more often, he is too bossy to share the home. Being a natural guard dog, he is wary of strangers, but can acquire a more cheerful demeanor if he is socialized young. These are highly trainable dogs that require positive reinforcement and a consistent trainer. Without obedience training, he may become adept at nuisance barking. Give the Pyrenean Shepherd a job to do, such as tracking, coursing ability tests, dog shows, herding, rally, and other dog sports to keep him the happiest. This breed will do the best when paired with a family who can keep up and challenge him.